What do you do when there’s empty seat at Thanksgiving, one less name on your Christmas shopping list, and one less person to celebrate the new year with? This time of year is full of fun activities, family gatherings, and lots of memory making moments. When you walk the journey of losing someone, it often is a reminder of not only everything your loved one is missing, but what you are missing experiencing with them. Four days before Christmas in 2011 my mother called me crying hysterically that my brother died of a drug overdose. I never thought this would be my story, but it is. And since it is, I want to allow God to bring out the good, because there is always good if you let God have control. Every year I can’t help but think about my brother and what his life would have been if drugs were never a part of it. I have all these memories of holidays with him, then they just stop. Now I have a handful without him and my brain still can’t comprehend the magnitude of that. What once was “normal” is no longer. Now there is a new normal. My brother never got to meet my children or see me become a mother. There is this whole new life that I am living that he is not a part of. If I allow myself, I could let grief take over, but I know I serve a God who wants more for me, who gives peace and brings comfort. The peace God gives us, that is beyond all worldly understanding, is what gives us a joyful holiday season, even through loss and grief. Let yourself feel. Allow yourself to cry, get angry, and experience sadness. There may be years you will need to express these emotions, while other years you won’t. These emotions need to come out. The road of grief is long and everyone’s process looks different. Embrace the good. Don’t allow yourself to feel guilty when you start having a good time. You may have a spouse, children, or family and friends that you spend this time of the year with and it is OK to have fun. There is peace and comfort. I know when you are in the midst of grief, you wonder if you will ever feel OK. You wonder if you will ever feel like “you” again. The former “you” is no longer. There has been a major shift in your life and as long as you fight it, you can never become the new “you.” Who I was before is different then who I am now. 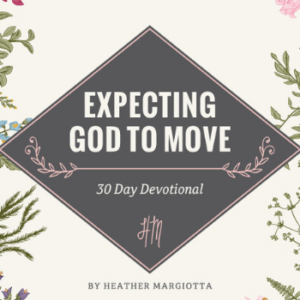 The great news is, the peace and comfort that is beyond our understanding, that I talked about earlier- can allow you to embrace the new “you” and once you do, I think you will like him/her. I remember the Christmas morning that was only four days after my brothers death, James and I slept at my parent’s house. I woke up that morning to my parents crying. James and I laid in bed while we heard them crying in the living room. I don’t remember everything they said to each other but I remember hearing the tears. After a little while, I heard my mom tell my dad she was going to wake James and I up to open gifts. After she came and got us from our room, we sat in the living room and had what would be a seemingly normal Christmas. We opened gifts, talked about what we got each other, shared excitement, and laughed. What my parents did that morning taught me a lesson. Give yourself that time; time of sadness, crying and talking about it, then move forward with your day embracing the good that is still there. 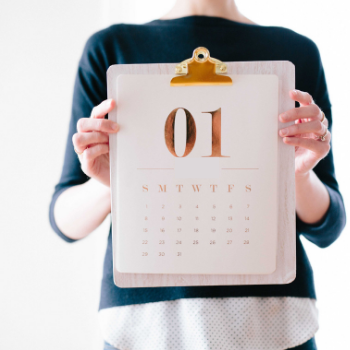 Every year is different, and that is OK. Allow yourself to experience each year differently. When you allow it and don’t fight it, then you can fully enjoy this time of the year. My prayer for you, if you’ve experienced loss, is to have a joyful holiday season even in the midst of despair. I know how hard it can be and I am right there with you. 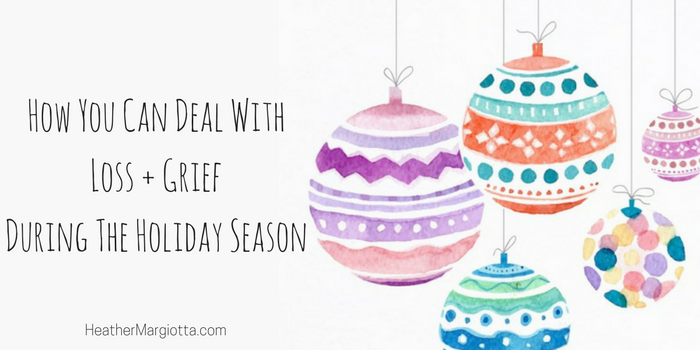 Please share this with someone who deals with grief + loss during the holiday season. I’m sorry for your loss. You’re not alone. Thanks for sharing this. Great tips. Grief always hits the hardest during the holidays. I’m so sorry for your loss. We lost my grandfather last year and the holidays are a very hard time for me. Thanks for all of your tips and sharing your story! I am so sorry to hear about your grandparents. What a blessing to have grandparents that you loved so much! Yes, it is hard when you feel like you are “supposed” to be happy. Especially when it is not possible. This is so beautiful, Heather! Thank you for a great post! 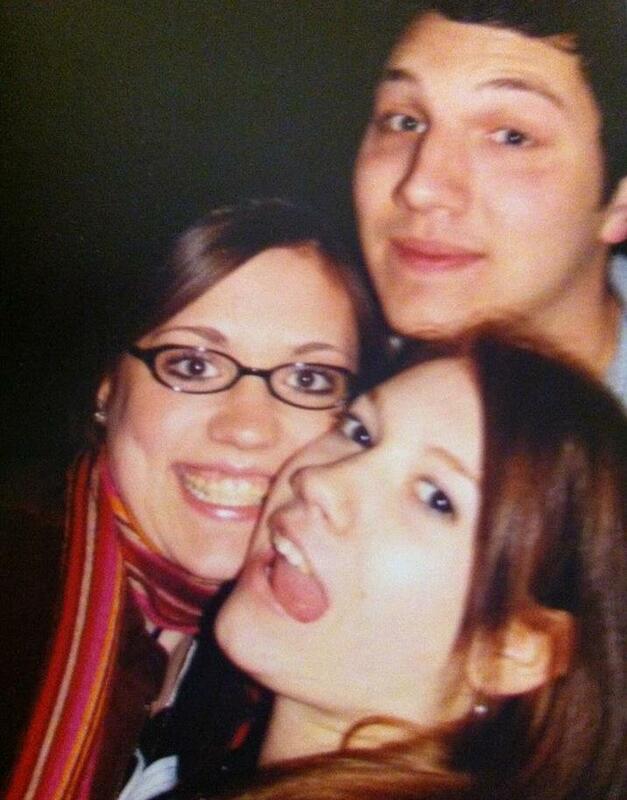 I lost my cousin two years ago to a drug overdose. It is so strange how time stops for them but keeps moving on for us. The story about your parents was beautiful. Happy Thanksgiving to you and your family! Thank you for the compliments. I am so sorry to hear about your cousin <3 Happy Thanksgiving to you too! Thanks for the comment. I am sorry that button did not work, I will look into it! My 20 year old son died this year. It’s our 1st Christmas without him. I’d like to start a tradition to keep his memory alive. I bought an ornament but I want something more we could do as a family. Any ideas? Jennifer, I am so sorry to hear about your son. What was your son’s favorite meal? Maybe you and your family could cook that meal together and while eating it, talk about your son and all the happy memories. Or, if there was a hobby or activity he enjoyed doing, you all could do it together! I would love to hear what you choose to do! Please know I am praying for you today! I am rereading this. Some days i feel like i can hardly breathe. Your expressions of grief let me know I’m going to survive this grief and God will use it to shape me more into the image of Christ. Amen . Thank you for letting me know that God is using this post to speak to you, it blesses me more than you know. YES- You are going to survive this grief! There will be days where you won’t feel like a survivor but those are moments God will be near to you, I promise!